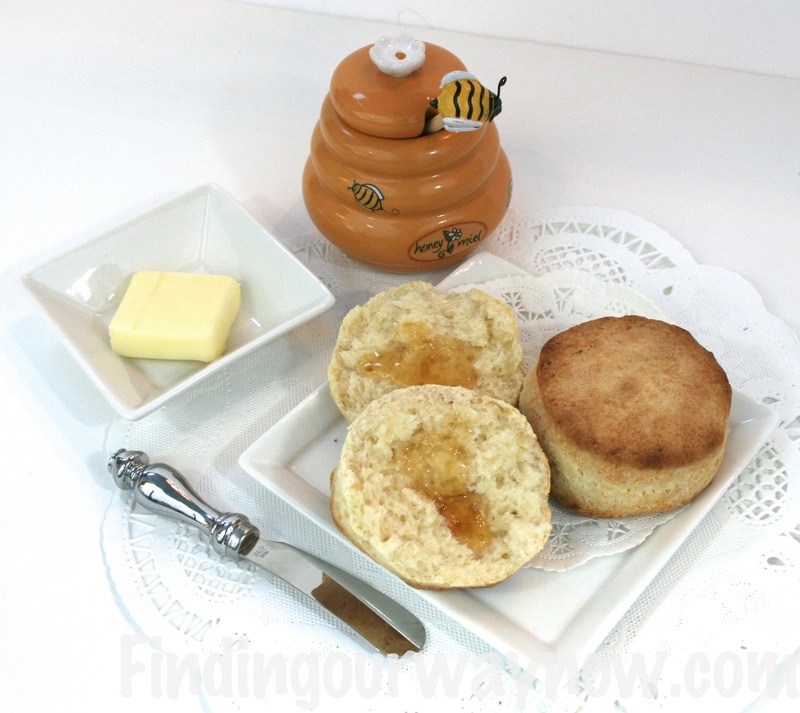 The smell of baking homemade biscuits in the morning is always a delight and so hard to resist. That said, I love this make ahead freezer biscuits recipe because I can make it well in advance of any friends and family that may be coming for a visit at any time of the year, especially around the holidays. Lined a baking sheet with parchment paper or silpat. Whisk flour, sugar, baking powder, and salt together in a large bowl. Stir in Cream with a wooden spoon until dough is formed, about 30 seconds. Turn dough out onto a lightly floured counter and gather into a ball. Briefly knead the dough until smooth. If the dough is too sticky, add extra flour a little at a time. Shape the dough into a disk an 1 ½ inch thick. Using a flour dusted 2½ inch biscuit cutter, cut as many biscuits as possible and place them on the prepared baking sheet/sheets about ½-inch apart. Freeze for 6 hours. Place the frozen uncooked biscuits in a ziplock bag, label and date with baking instructions and return to them to freezer for later. When ready to bale: Do Not Thaw the biscuits before baking. 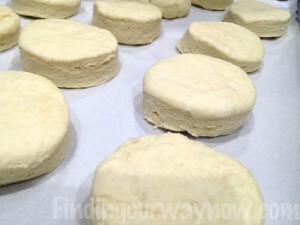 Preheat the oven to 450 degrees F. Place the desired amount of frozen biscuits on a parchment or silpat lined baking sheet, 2 inches apart and bake until puffed and golden brown for about 15-20 minutes. Notes: Always use the freshest baking soda and flour you can. It makes all the difference. The frozen unbaked biscuits can be stored in the freezer for up to 1 month. These make ahead freezer biscuits are delicious and go with just about anything. I’ve served these make ahead freezer biscuits for breakfast along with my homemade jams, with soup and even for dinner when I’m in a pinch. Enjoy. P.S. 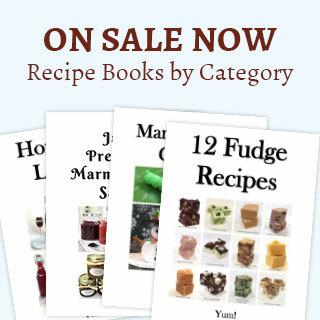 : Take a moment to checkout my inexpensive recipe booklets and a few of the products I used for this recipe.